It also addresses the various skills required, the key steps in the Data Science process, software technology related to the effective practice of Data Science, and the best rising academic programs for training in the field. 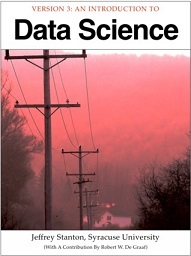 In this book, a series of data problems of increasing complexity is used to illustrate the skills and capabilities needed by data scientists. The open source data analysis program known as "R" and its graphical user interface companion "R-Studio" are used to work with real data examples to illustrate both the challenges of data science and some of the techniques used to address those challenges. To the greatest extent possible, real datasets reflecting important contemporary issues are used as the basis of the discussions.